The Edward E. Malone Chapter of the National Honor Society strives to create an enthusiasm for scholarship, to stimulate a desire to render service, to promote worthy leadership and to encourage the development of character in students of Mount Michael Benedictine School. To be considered for the NHS a student must fill out a form and meet the minimum requirements outlined in the student handbook. A candidate is evaluated by a faculty council on service, leadership and character. A majority vote is needed for admission. 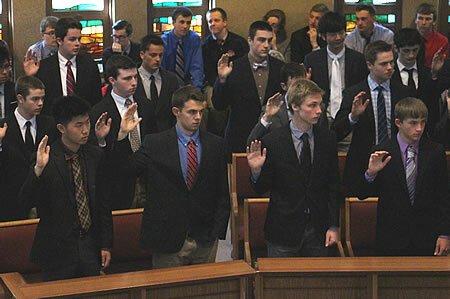 An induction ceremony of new members is held each spring.